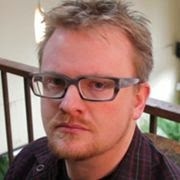 Please welcome Scott Kenemore to The Qwillery. 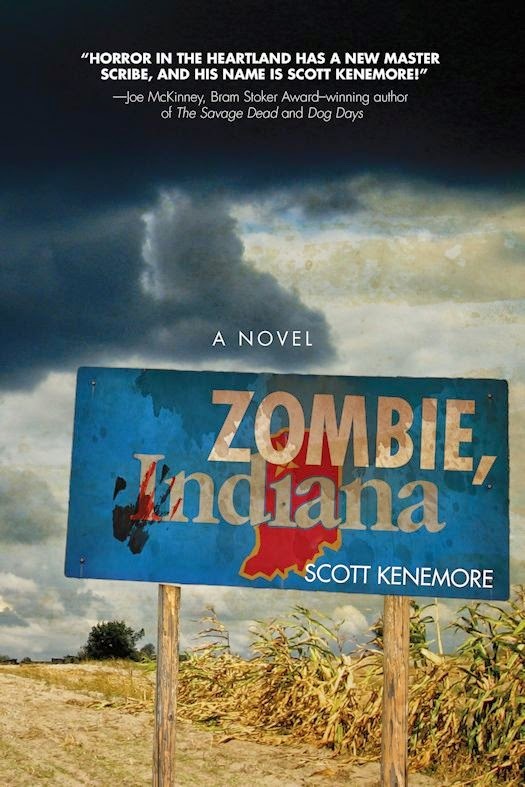 Scott's most recent novel is Zombie, Indiana which was published earlier this month by Talos. Scott: Hi, there! Thank you for interviewing me about Zombie, Indiana! To answer your question, I've always enjoyed creative writing, and have been writing stories and essays since I was a kid. The most challenging part of writing for me is probably getting the wording right in revisions. It ain't glamorous, but it's so, so important. TQ: Describe Zombie, Indiana in 140 characters or less. Scott: "A horror novel and political satire about the great state of Indiana!" TQ: Tell us something about Zombie, Indiana that is not in the book description. Scott: Larry Bird, Damon Bailey, Reggie Miller, and other Hoosier basketball icons play a role in telling the story (though they don't directly appear as characters). TQ: What inspired you to write novels about zombies? Why set the series in the Midwest (Ohio, Illinois, and now Indiana)? Scott: I've lived all over the Midwest, and I like to write about the small regional differences-- including differences of temperament-- that can separate Midwestern states. I like to attack places with zombies because of the stress-test that a zombie outbreak creates. States act one way when the economy is booming, there's no natural disasters, and the country is not at war. They act in entirely different ways during a crisis. I think zombies create an interesting kind of crisis. TQ: Please tell us about your zombies. Are they more like the George Romero zombie or something else? What do you think is the appeal of zombie fiction? Scott: My zombies are slow and stuporous, very like Romero zombies. I like slow zombies because there's sort of no excuse for getting eaten by one. They're missing limbs. They're illiterate. They can't run. But they're still going to eat you, because you're going to make bad choices and get brought down by your own vices. That's something I find compelling as a storyteller. 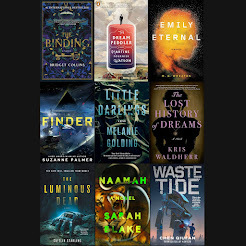 I could write tens of thousands of words about why zombie fiction holds appeal for folks, and still not hit every angle. So I'll just say that, for me, zombies have a sort of blue-collar appeal as monsters go. They are the least pretentious entity in the horror pantheon. TQ: What sort of research did you do for Zombie, Indiana? Scott: I lived in Indiana until about 2002. Then, last summer while I was writing the book, I went back down and scouted many of the locations where I knew scenes would be set in Zombie, Indiana. I went to Indianapolis, Southern Indiana, and the caves on the border with Kentucky. TQ: In Zombie, Indiana, who was the easiest character to write and why? The hardest and why? Scott: The hardest was probably Kesha Washington-- an African-American scholarship student at an expensive private high school in Indianapolis. Creating this character was a conscious decision to challenge myself as a writer, because I find so many renderings of adolescents in horror fiction to be flimsy and obnoxious. I wanted to see if I could do a better job. The easiest character to write was Indiana Governor Hank "The Tank" Burleson. His short-sightedness and venery were a joy to limn! TQ: Please give us one or two of your favorite lines from Zombie, Indiana. "Idiot Cheeseheads to the last. They had selected a cow for the image on the reverse side of their state quarter. That had given Burleson a deep sense of satisfaction. There was nothing to fear from these gentle bovines. There never had been." Perhaps this small calumny will suit your purposes? Scott: I have a novel about a haunted hotel coming out in October, also from Skyhorse/Talos. Scott: Thank you for having me! In the third book of his Zombie series, Scott Kenemore brings the explosive horror thriller of an undead outbreak in the city of Indianapolis. Zombie, Indiana takes place during the same timeline as the outbreaks in his books Zombie, Ohio and Zombie, Illinois, and has the same punch as the previous two. Zombie, Indiana explores the impact of an invading zombie horde on a trio of Hoosier protagonists . . . each of whom have some dark secrets to keep. When the governor’s daughter mysteriously disappears on a field trip, IMPD Special Sergeant James Nolan, scholarship student Kesha Washington, and Governor Hank Burleson must all come together not only to find the governor’s daughter, but also to undertake a quest to redeem the very soul of the state itself . . . all while under constant attack from the living dead. With humorous, memorable characters, tense action sequences, and brutal zombie violence, Zombie, Indiana will put readers in mind of some of the most compelling works of popular fiction. At once a mystery, a thriller, and a horror novel, Kenemore strikes again with this rollicking tour through America’s heartland that is nothing but a tour de force for zombie fiction fans! 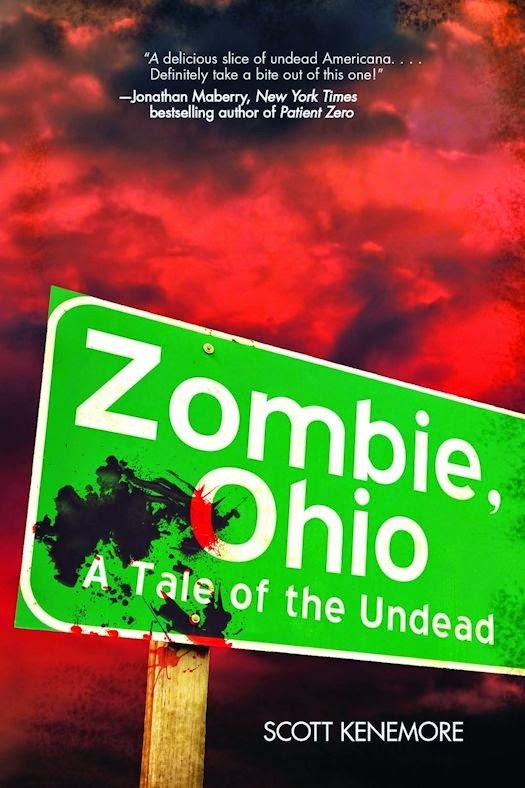 The sequel to the bestselling Zombie, Ohio, this explosive supernatural thriller from Scott Kenemore tells the story of three Chicagoans who have been thrown together by a bizarre, interconnected series of events during the first twenty-four hours of a zombie outbreak in the Midwest's largest city. A partnership is crafted between a pastor from Chicago's rough South Side, an intrepid newspaper reporter, and a young female musician, all of whom are fighting for survival as they struggle to protect themselves and their communities in a city overrun with the walking dead. Between the barricaded neighborhoods and violent zombie hunters, the trio encounters many mysterious occurrences that leave them shaken and disturbed. 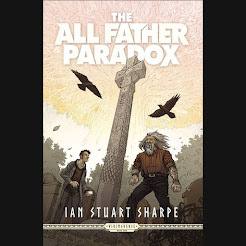 When the mayor of Chicago is eaten by zombies on live television, and a group of shady aldermen attempt to seize power in the vacuum, these unlikely friends realize that they have stumbled upon a conspiracy to overthrow the city . 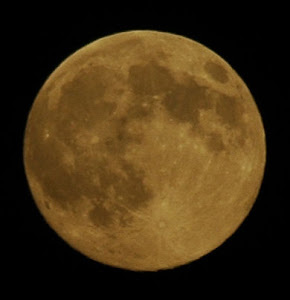 . . and that they alone may be qualified to combine their talents to stop it. 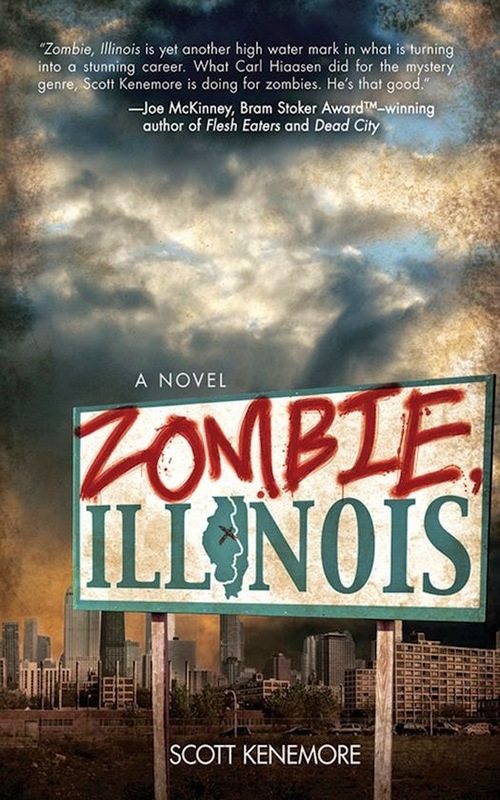 Zombie, Illinois will delight devoted zombie fans and put readers in mind of some of the best recent works of supernatural horror. You will be left shocked, horrified, and craving brains! This novel will grab you from the first page and not let go until the riveting finale. Scott Kenemore is the bestelling author of the Zen of Zombie-series of humor books, and the novels Zombie, Ohio, and Zombie, Illinois. He was born in New York, grew up in Indiana, and currently resides in Chicago, Illinois.